Peatmoss harvesting, development, production. Export peatmoss from Sakhalin Russia to China, South Korea, Japan, United States. High quality best price peatmoss products. with low degree of decomposition. Extraction of peat moss is made by vacuum method using combines from Canada. Processing into peat moss product is carried out on the Canadian equipment "Premier Tech". There is installed processing line for sorting, crushing, drying and pressing the peat moss plastic sacks with capacity of 170 liters (6ft) and 113 liters (4ft). At the present time high quality peat moss production is been supplying to Japan under the contract for 2006th year at the volume of 15500 tones. About 10000 tones is been selling out at the local market as derivative products (nutrient soil, oil sorbent, fertilizer). 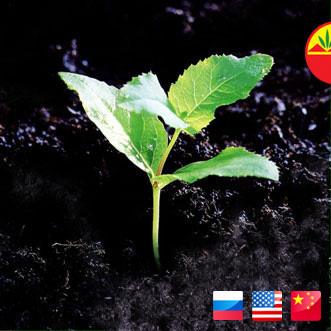 All peat moss products are certified for supply to different countries.